Corduroy, I’ve had a love hate relationship with you throughout the years. From Kindergarten to 8th grade, I went to private school and at this school we of course had to wear uniforms. 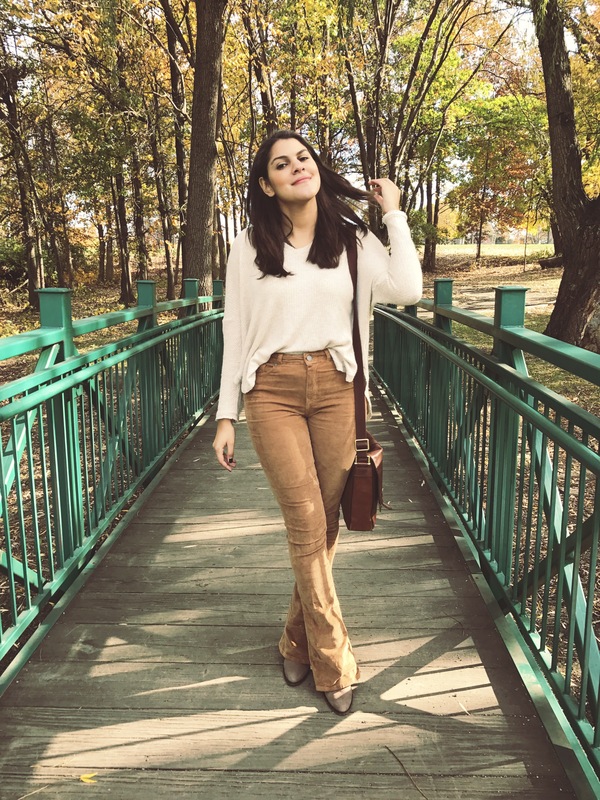 During the cold winter months, my mom wouldn’t let me wear the typical skirt/knee high sock combo, instead I wore navy blue corduroy pants to keep me toasty. 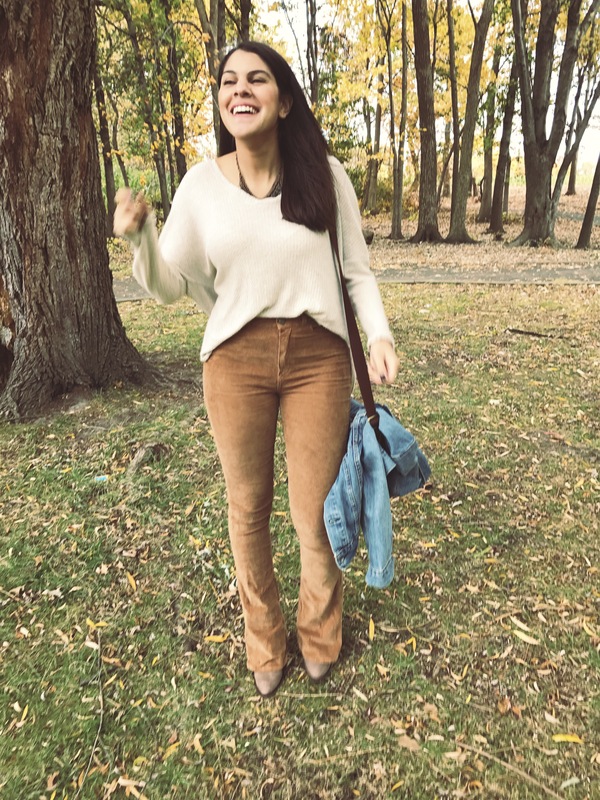 In my eyes, these pants were pretty awful so I didn’t start loving corduroy until my early 20’s (I’m now 25.) Looking back, I looked adorable and my mom was just trying to keep me from being cold but when you’re 8 and all your friends are wearing skirts, things are seen totally differently. 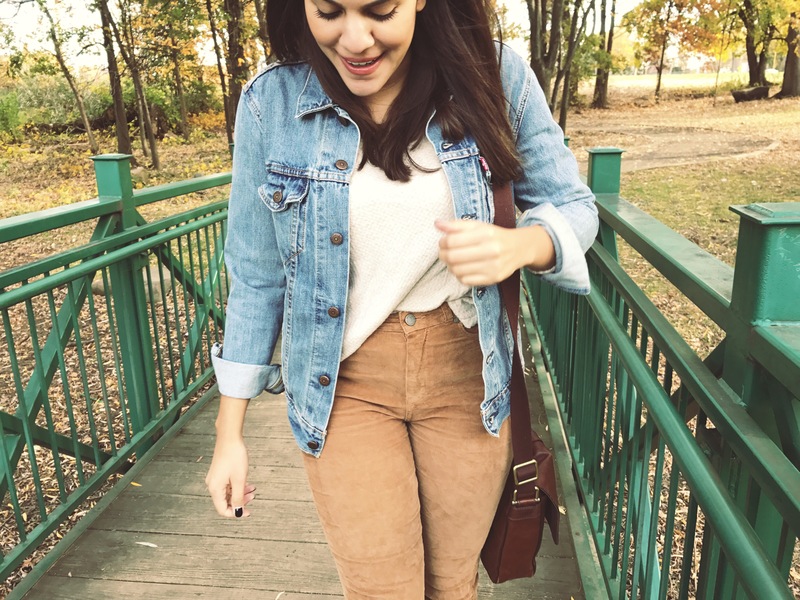 Luckily, I changed my mind because now I absolutely love corduroy everything. 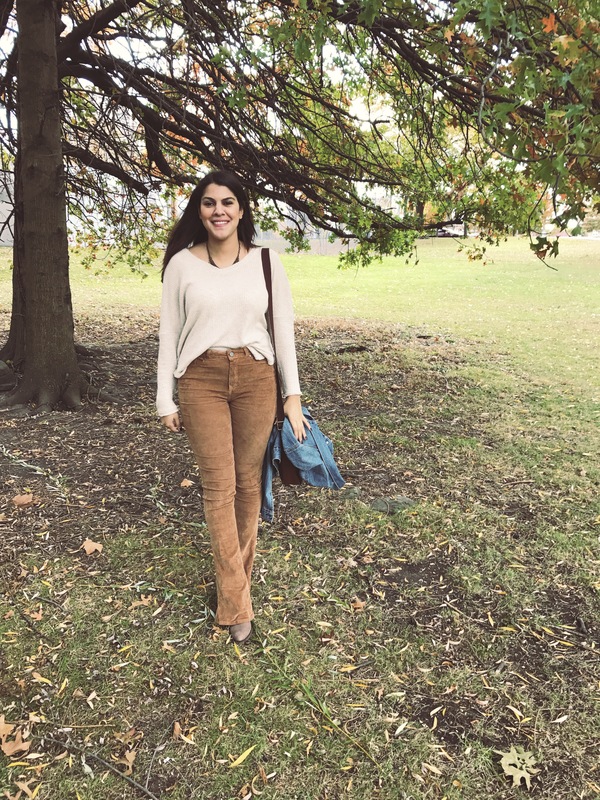 From pants, to skirts, to jackets, corduroy is a fall/winter staple and these amazing Paige flares I bought on Poshmark (for half that price!) are my absolute favorite. Paige has an excellent reputation. Everything they have fits like a glove and they’re super stretchy so you don’t ever feel like you’re being confined. 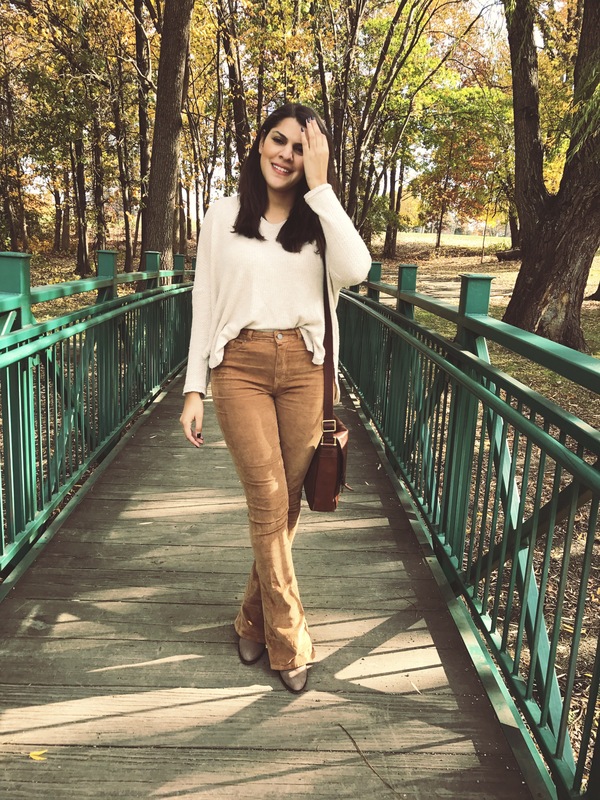 If you’re ever looking to splurge on jeans (or cool corduroy pants,) this is the brand to spend that mula on. 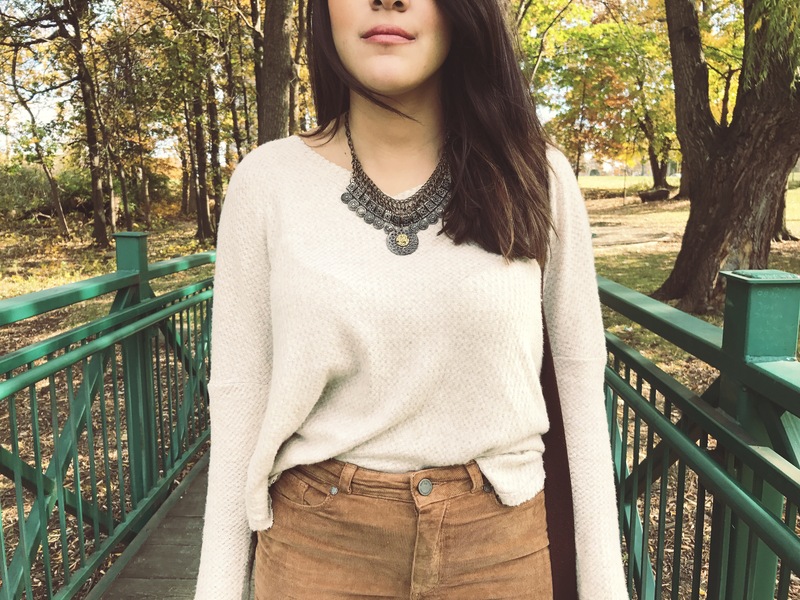 I paired these amazing pants with a comfy cream colored thermal from Urban, Free People boots and necklace, my favorite Fossil bag, and a Levi’s denim jacket also from Urban (similar.) 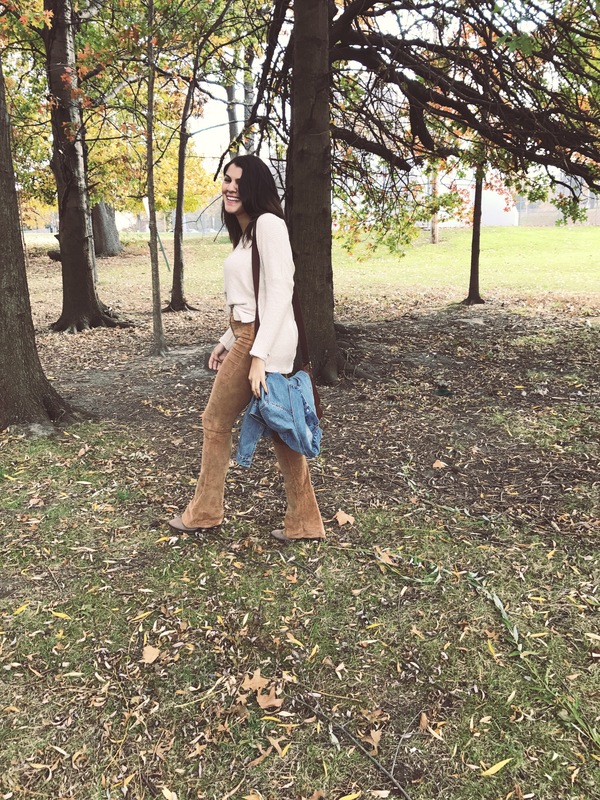 These pants are incredibly long so I have to wear boots that have at least a 3 inch heel, it’s safe to say, my feet really hurt every time I wear these! 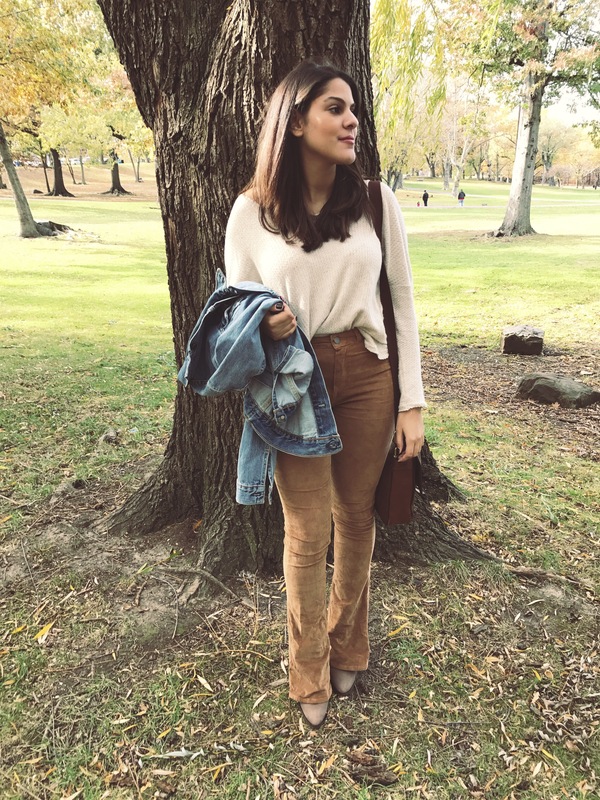 Now that corduroy isn’t part of my school uniform, I found my favorites to be ones with a lot of stretch. I have quite a few pairs by Pilcro and AG because they fit more like a legging instead of stiff pants. 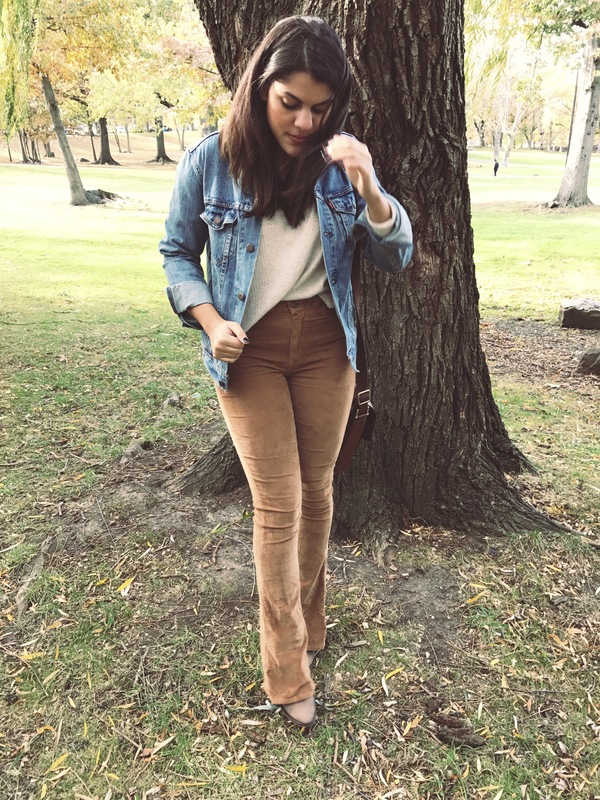 I totally suggest everyone to add some corduroy to their wardrobes as corduroy has definitely become one of my fall alternatives to just wearing jeans!